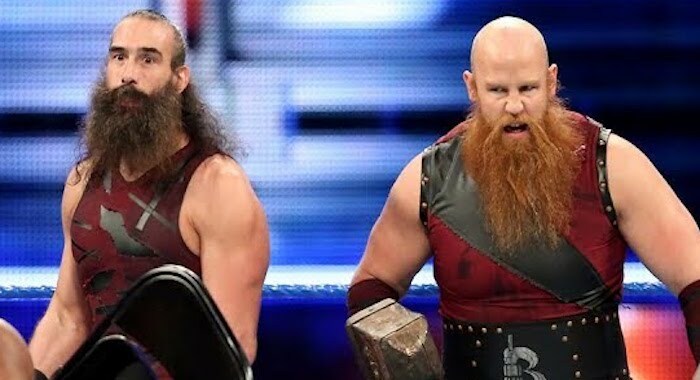 Luke Harper and Erick Rowan, collectively known as The Bludgeon Brothers, have been officially cleared to return to the ring by WWE’s medical staff, according to a new report from PWInsider.com. As previously noted, Rowan was at the Performance Center earlier this week hoping to be cleared by doctors. He has been out of action since SummerSlam, suffering a torn right bicep, and with his partner set to be sidelined for several months Harper opted to have a surgery he has been needing for quite some time. The Bludgeon Brothers were in the midst of their first reign as Smackdown Tag Team Champions when Rowan suffered his injury, and the two were unexpectedly forced to drop the belts to The New Day on an episode of Smackdown Live.